Anti inflammatory chili helps protect the well-being of your joints. Anti inflammatory chili and its active ingredient capsaicin is a step up to better joint health; letting your food be your medicine is an important adjunct to chiropractic care. This page was updated by Dr Barrie Lewis on 31st October, 2018. What can be more ironic? Red hot chili peppers have a soothing, pain relieving effect on the tissues of the body. It's of great concern that despite all the NSAID drugs being swallowed, the emphasis on low cholesterol, changing to margarine and using statin drugs, the tissues in our bodies seem to be becoming more angry looking. The linings of blood vessels are redder, surgeons say; the incidence of arthritis and bowel disease is on the increase. And in the chiropractic domain, joints and muscles are red and angry and not just subluxated. No one is suggesting that there's a simple solution; there isn't. One thing I'm quite certain of though is that we won't find the solution in more and better drugs. We will individually discover that the cure is through a better life style, and that will include a change to coloured foods. 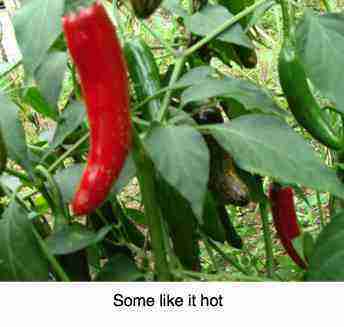 That should include the capsicum family and its special ingredient, capsaicin; the hotter you can tolerate the better. Autoimmune diseases are on the increase. Inflammation of the tissues of the body is rampant. Whilst there have been some criticisms of the study, it would seem that the anti inflammatory and anti cancer effects of chilis are not a myth. Researcher Lichtenstein from Tufts warns there's not a shred of evidence however that popping a capsaicin tablet has any benefit; rather add anti inflammatory chili regularly to your diet, even in small amounts; we enjoy it daily in our eggs Hilton at breakfast. Google appears to frown on too many links, so phrases in bold, like that eggs Hilton above, and capsaicin benefits below, need to be put into the Site Search function in the navigation bar on your left if you want more information. Anti inflammatory chili as some like it hot but most enjoy the milder peppers; both help your angry joints and muscles and certainly make a contribution to chiropractic care. Capsaicin, the heat in chili, inhibits a chemical that is quite normally found in the body called substance P. Read more at capsaicin benefits. What is substance P? It's a neurotransmitter found throughout the nervous system, but in this instance we are interested in its function in the endings of sensory nerves in muscles, joints and the skin; it's the chemical that enables you to feel pain. Without it, if you put your hand on a hot stove, you wouldn't know your skin was being burnt. Without it, if you were bending and lifting a heavy box, and your back started warning you that you were nearing the limit of its capability, your brain wouldn't receive the information directing you to find a better way to lift the box. In short, you would rupture a disc before you knew you were being injured. It's a vitally important element in the perception of pain and it's your friend. So, substance P is involved in the transmission of pain from an injured tissue, perhaps a pulled muscle or a trapped capsule in the facet joint in the cervical spine causing the unbelievable pain associated with a stiff neck. The rule here is don't shoot the messenger. Substance P is simply telling you that your skin is being burnt, you are about to slip a disc or pull a muscle. It's your friend, preventing further injury. Substance P is involved in the control of a host of other activities in the body. One of them is the regulation of its own receptor so that, if this so called NK 1 is firing recklessly, substance P can moderate the over and unnecessary bombardment of the central nervous system with pain signals. This is where the capsaicin in anti inflammatory chili is so useful. The problem appears to be that sometimes the receptor goes overboard for unknown reasons. Perhaps it's stress, or too little sleep, or a deficiency of certain minerals or vitamins in the diet, or exposure to toxic chemicals in the environment. And then you have an exaggerated perception of pain when really the stimulus is very slight. An example of this would be the pain experienced in fibromyalgia. So the inhibition of substance P is useful in two circumstances. The first is where you have have had an injury; you know it and are experiencing pain, and want to reduce the perception of that discomfort in your brain. Capsaicin is the anti inflammatory chili chemical that will help that happen. The second could for example be reducing the the nerve pain associated say with shingles. That pain can in some circumstances go on for years, especially when associated as a side effect of certain powerful drugs like infliximab which is used in the treatment of inflammatory bowel conditions like Crohn's disease. Enter the increase of anti inflammatory vegetables and fruit into your diet, and the reduction of junk foods. The chili family is one of those that you can and should add to your diet. There is anecdotal evidence incidentally that capsaicin helps the cramping, bloating and pain of Crohn's disease by inhibiting substance P. Start with small amounts if you are going to try it. Better still would be to be to find out more about the meaning of gluten. Using the sourdough method of baking, one research project found that 14 out of 17 Coeliacs could again enjoy bread. The chili family of foods are particularly easy to grow in your own garden, adding the bright red colour associated with chili. It could be in a pot, or amongst your flowers in the front garden. 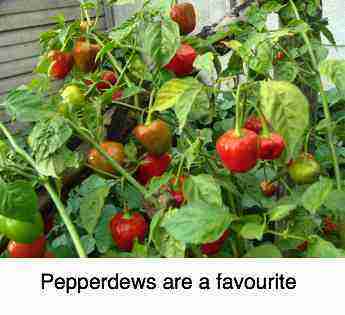 Growing peppadews in the garden is so easy; the bright, cheery fruit is so attractive. We eat them every single day for their anti inflammatory effect. Currently we are in that 14% who have no sign of those nasty chronic diseases. Google appears to frown on too many links, so phrases in bold, like that meaning of gluten and growing peppadews above and what is betaine below need to be put into the Site Search function in the navigation bar on your left if you want more information. Capsaicin has the ability to deaden the response of sensory receptors to noxious stimuli. Anti inflammatory chili is now being studied for its natural pain relief properties. Deep pain is carried by so called C nerves. There is a receptor on these fibres that is specific for capsaicin, desensitising the nociceptor when it comes into contact with chilis. This would explain how patients suffering from the neuropathy associated with shingles, psoriasis and diabetic gain considerable relief from capsaicin. There is a mistaken belief that chilis cause ulcers. Well, it's partly true; excessive intake has been linked to stomach cancer, but moderate use actually stimulates the healing of epithelial tissues, including those that line the alimentary canal. You cannot eat too much of most coloured foods like spinach and butternut, but chilis are one to enjoy regularly, but in moderation; daily enjoying curries that blow you out of the water is probably not healthy. Weight loss obviously attracts huge media attention, especially as three times as many people are dying of obesity as starvation. Excessive weight also means pain from over stressed joints, and hence the benefits of anti inflammatory chili. 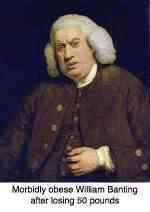 Worse than death, is the disability that comes with obesity; it's a millstone around the neck. Our healthy living tips is all about less pain and disability. "After a ten year, 76 billion pound study commissioned by a British political party, scientists have proved that exercise and diet are central to weight loss." This of course is a tongue in cheek jibe at the way politicians freely spend taxpayers' money, but in fact anti inflammatory chilis does actually raise your basal metabolic rate for around half an hour after a meal, and thus contribute in a small way to weight loss. More important is that researchers report that the insulin requirements of type 2 diabetics is reduced after enjoying a meal containing hot peppers. More, those eating chilis on a daily basis need less insulin than those who shun spicy peppers. There may be a temptation to use the flesh, and discard the seeds, but in fact most of the active ingredient, capsaicin, in anti inflammatory chili is in the white membrane, the placenta, that holds the seeds within the pod; don't discard that membrane along with the seeds. 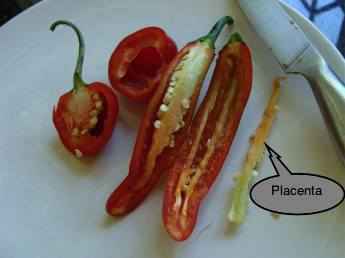 It's in that placenta that most of the capsaicin is found. The stuff that you want if you are suffering from chronic inflammation in your body. 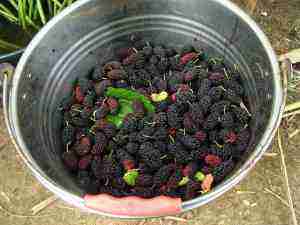 These healthy living tips, just picked from our garden, are called mulberries; just one of many coloured fruit and veg we should be enjoying on a daily basis; they act differently to anti inflammatory chili but the end is the same; less angry muscles, joints and organs. Healthy living tips is really mostly about more coloured foods; blueberries and beetroot, winter squash and citrus, lettuce and spinach. It's all in the colour. Now throw in a little anti inflammatory chili regularly to your cooking. as compared to those who eat little fruit and veg. Five coloured foods was good, and seven to ten even better. Just one anti inflammatory chili may not be a whole portion, but ten portions per day of coloured foods, perhaps not all a full portion, is almost certainly better than five full portions of coloured food. Another cause of inflammation in the body is the ratio of omega 6 to omega 3 in the diet. Ideally, we would like to keep this ratio below 5:1, and the closer to 1:1 the better; it's all about healthy vs unhealthy fats. The colossal mistake that modern medicine has made is encouraging folk to go off all saturated fats and to change to polyunsaturated fats like sunflower oil; they are very high in omega-6. Thus the modern Western diet often has a ratio of 20:1 and even up to 60. To enhance this ratio, to decrease the generalised inflammation in your body, change to olive oil which is neutral in the omega stakes, and increase the EPA and DHA with fatty fish, freshly ground flaxseed and freshly cracked walnuts for more ALA. These are the omega-3 fatty acids. For another take on this important issue read more from Dr Ben Kim's healthy vs. unhealthy fats and oils. My best tip of the day is to make your own hummus weekly and for that you need freshly ground cumin. It's so easy to take the Indian spice jeera, roast on a pan, grind it and use the powder in our authentic hummus recipe. It takes me only four minutes to make. What is betaine is probably not a question you have pondered long into the night! But a deficiency is the cause of serious chronic disease. There's some in fresh chili, though no one seems to be sure just how much. "Three quarters of people living in South Africa are not aware that they have hypertension; that's why it's called the silent disease, but causing 360 people to have a stroke every day." Leukotriene B4, or LTB4 for short, is a pro-inflammatory substance synthesised in the body from certain fats; it is found in white blood cells, dendritic cells that control our immune response, and osteoclasts that break down bone, for example. In short, diabetes and LTB4 is a vitally important subject. Increased LTB4 is found in the main target tissues of insulin, namely muscle, the liver and adipose tissue. Natural anti inflammatory chilis, for example, help to prevent the chronic activation of LTB4 which has long been known to cause the persistent inflammation of atherosclerosis and arthritis, and now shown to directly induce decreased insulin sensitivity. This insulin resistance is directly a part of the explosion of diabetes in the Western world that comes from eating ever less of these natural anti inflammatory nourishments, and more highly processed foods from which the natural ingredients have been removed. 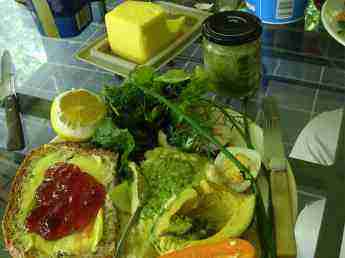 The secret is to return to natural living, and making your own foods from scratch, ensuring as many coloured gems as possible. Once in the mode it takes little time to make your own hummus, pesto, bake your own bread using 100% whole flour and enjoy a vibrant daily salad. The alternative is inflammation and pain, bucket loads of pills every day and a shortened life. Is a life without medication a pipe dream, or a real possibility? How to grow chili is a very popular page. Just this last week, in early summer, I planted out at least 30 assorted pepper seedlings; we love them for their flavour and the way they will dickey up any dull meal. You can add an anti inflammatory chili to any meal; can you spy the jalapeno and peppadews? 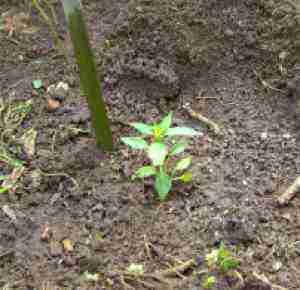 Chilis are very easy to grow. Instead of drying them, I chop them up and freeze them. Commercially grown chilis for some reason, more frequently than other foods, have high pesticide residues according to the Environmental Working Group 2013 report. Frankly I've no idea why, as in my organic garden they are never diseased. In short, grow your own chilis; then you will eat them daily through the summer and frozen through the winter. They are very pretty in any flower garden. Translated into reality that means that you have less of a struggle to lose weight, have less arthritic and nerve type pain and better cholesterol and insulin control. According to the Journal of Cancer Research less prostate cancer too. Capsaicin is the active ingredient in anti inflammatory chili. If you find a raw chili just tooooo hot, then try slitting it in half and dropping it into a pot with a couple tablespoons of water. Par boil it for just a moment; that's how I enjoy my jalapeno a day; keeps the chiropractor away! 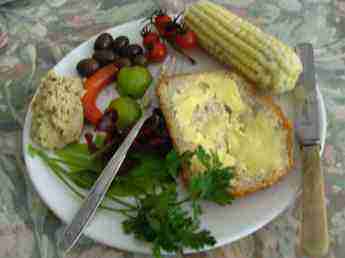 Enjoyed with a green salad, plenty of hummus and perhaps an avocado and it's really delicious. 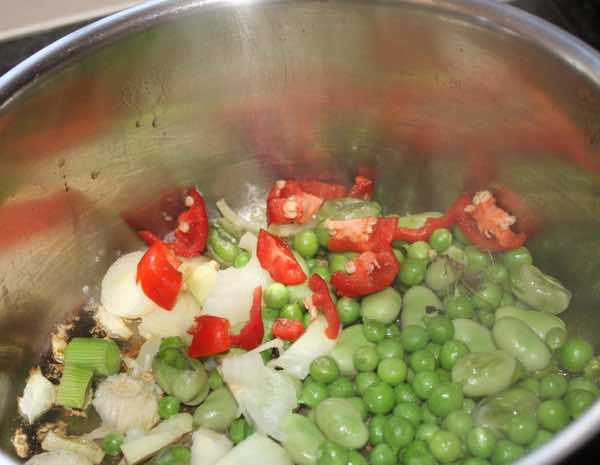 Choosing the young fruit for your green chili sauce recipe means that it won't be so hot. It's early summer now and we have dozens of baby jalapenos; they're not fiery at all yet. And, if you want the healing anti inflammatory effects you must include the placenta and pips. Jalapenos are not as hot as regular chilis, of course. I enjoy a whole one every day in the season. Whilst chili doesn't normally feature in borscht, I often add a slither to simple Bernie's beetroot soup; generations have sought easy ways to add many coloured fruit and veg to the diet; we ignore the practice at our peril. Google appears to frown on too many links, so phrases in bold, like those green chili sauce and Bernie's beetroot soup pages above, need to be put into the Site Search function in the navigation bar on your left if you want more information. Whether it's for their anti inflammatory chili properties, or to help with control of your blood sugar, or weight loss, simply planting a few chili plants in your garden, in amongst the flowers, will significantly improve your health. They will be covered with the bright red fruit for months. Believe me, I had two today for lunch. The first frost has hit them, but still they soldier on. I'll be keeping some seed for the spring planting; the chili family grows like a weed. Have I lost weight since eating a chili a day? Nope, but with a BMI of 26, I'm not overweight; not really! 25 is the boundary. Have I less pain since consuming anti inflammatory chili? Yes, I think so. Last year I suffered from a very serious slipped disc; a combination of chiropractic adjustments, lower back exercises, a couple weeks intermittent bedrest fixed the problem angry disc. I have no pain. Read more at femoral nerve damage. A poached egg on a bed of spinach for breakfast should regularly be on the menu if you are wanting to shed unwanted pounds. I start with a little fried onion and some anti inflammatory chili, perhaps some garlic, and then drop on raw egg. If your weight is fine enjoy it on a slice of 100% healthy flour toast. It's known as eggs Florentine. Anti-inflammatory diets: Do they work? In an interesting article from the influential Tufts university(3) researchers state that whilst they do not yet have enough research to definitely show that certain foods prevent particular diseases, selecting foods that have anti-inflammatory properties certainly makes sense. "Persistent low levels of inflammation have been tied to prevention of various chronic diseases like heart, cancer, arthritis and dementia," says Prof Blumberg. In short, lets eat anti-inflammatory chili, even in small amounts, on a daily basis; it doesn't have to burn the heck out of you! We certainly do, and the peppadew is our favourite; hot but not savage.